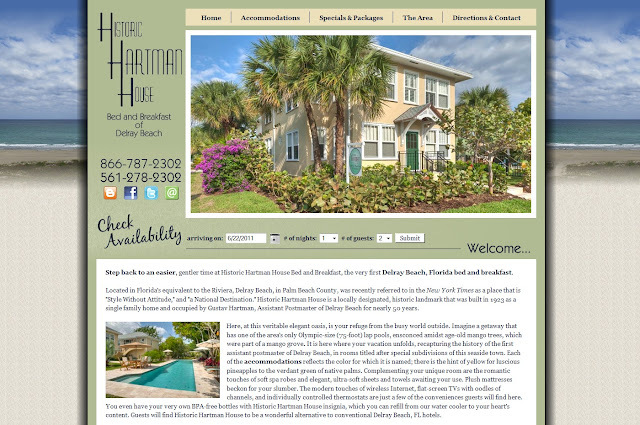 Historic Hartman House, a Delray Beach, FL Bed and Breakfast, is happy to announce their recent opening as well as their new web site. This is a nice website. Well done! We were lucky enough to stay in this B&B. This is the best place to stay while in Delray Beach.